This research aims to examine and to analyze factors that influence profitability of general insurance issuers in Indonesia. Factors that are examined consist of activity (working capital turnover), liquidity (current ratio), solvency (risk based capital) and profitability (net profit margin, return on investment and return on equity). Research data is quarterly data for five year period (March 2012 to December 2016). The purposive sampling method was used from a population comprising 14 general insurance issuers with outcome of 5 issuers that met the criteria. Using the multiple linear regression method of analysis for panel data, the results revealed that the variables of the working capital turnover, current ratio and risk based capital simultaneously influenced profitability (net profit margin, return on investment, return on equity) while working capital turn over influenced profitability (net profit margin, return on investment and return on equity) only partially. Current ratio also influenced profitability ratio (net profit margin and return on equity) however, Risk Based Capital did not influence all profitability ratios. The results of the study indicate that Insurance companies should increase their sales in order to get a higher working capital, maintain a liquidity ratio and achieve solvency ratio according to the regulations. This study is one of the first empirical studies to analyze factors that influence profitability of general insurance issuers in Indonesia. 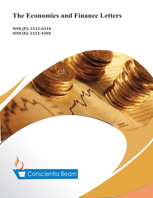 The findings of the study reveal such factors and their significance for the insurance companies to earn profitability. Most of developing countries such as Zimbabwe see foreign direct investment as a panacea for augmenting domestic savings, generating employment, eradicating poverty and stimulating economic growth. Foreign direct investment also is associated with significant positive spillover benefits such as; facilitating technological progress, enhancing production efficiencies, promoting skills and knowledge diffusion and increasing international competitiveness. The paper investigated the role of cost of capital, uncertainty, exports, market size and other macro factors in attracting FDI in Zimbabwe. This paper relied on a time series analysis using Ordinary Least Regression equation for the period 1998-2017. Uncertainty and cost of capital were found to be negative and statistically significant whilst market size and lagged exports were found to be positive and statistically significant. The paper recommends adoption of policies that improve domestic absorptive capacity such as the elimination of uncertainties in the economy, promoting more trade openness, improving market size and liberalisation of credit and financial markets to reduce firm borrowing costs. This study contributes to the existing literature on foreign direct investment by demonstrating the role of macro-uncertainty and cost of capital in attracting FDI. In addition, this study utilizes a new estimation methodology of FDI that is based on the modification of the flexible accelerator model of investment behaviour. This work was set out to measure the responsiveness of foreign reserves to exchange rate variables with a focus on the Nigerian economy. Foreign reserve was used as a dependent variable and all the exchange rate related variables used as independent variables. Time series data spanning 1996 to 2016 was used. A combined use of the Auto Regressive Distributed Lag Model (ARDL) and correlation matrix were employed. It was found that a positively significant relationship exists between real exchange rate and reserves with nominal exchange rate sharing a positive but non-significant relationship with foreign reserves. This makes a case for proper policy direction in the management of exchange rate in a manner that produces the best economic results for the Nigerian economy. The results are considered useful for economies in the shape of Nigeria for generalization and policy direction in the management of foreign reserve and its interface with exchange rate and its related factors. This study contributes to the existing literature by uncoupling exchange rate into nominal and real in measuring the nexus with foreign reserves. This study uses new estimation methodology which is the ARDL approach unlike prior studies that used OLS predominantly. The paper contributes the first logical analysis by carrying out pre-test, estimation proper and diagnostic analyses. The paper's primary contribution is that it exposes the fact that a nexus exists between foreign reserves and changes in exchange rate.